Bucket elevators are popular in a wide range of materials and industries. Bucket elevators are popular in a wide range of materials and industries. Regardless of their commonplace, there isn’t a one-size-fits-all configuration for this equipment. In order to manage the specific material challenges it will face, as well as complement an overall processing system, it is important that each bucket elevator design is tailored to its specific application. The following questions walk through the basic design information that is utilized to design quality bucket elevators. “What is the material?” is one of the most essential questions asked when discussing bucket elevator design. While many materials can be conveyed using a bucket elevator, there are limitations. Once a material is defined, the next step is to pinpoint the material’s characteristics. Material characteristics play a major role in the design of a bucket elevator. While the versatility of bucket elevators makes this piece of equipment capable of handling a number of different characteristics (e.g., light, heavy, fragile, or abrasive), it is important that only free flowing materials are used. A material’s density, size, and moisture level are also relevant when designing a bucket elevator to handle the job effectively. Examples of materials conveyed via bucket elevator include aggregates, fertilizers, potash, and pulp. 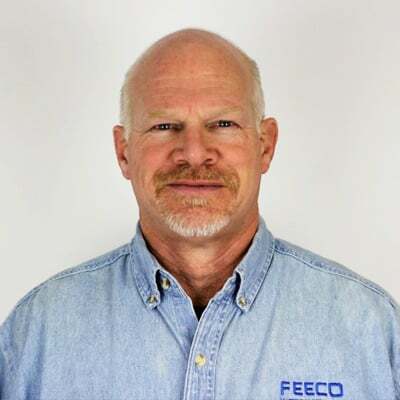 FEECO has over 60 years of experience customizing bucket elevators across a wide range of industries, and can often tell a customer instantly if their material is suitable for use in such equipment. In addition, questionable material can be tested in the FEECO international testing and tolling facility. A pilot plant can be set up on a single bucket elevator or multiple pieces of equipment in order to help customers make informed decisions and ensure process optimization. What Materials Should NOT Be Conveyed Via Bucket Elevator? 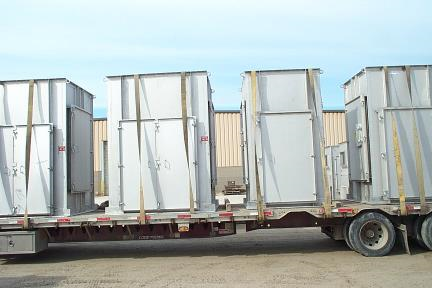 Bucket elevators are not recommended for moving wet, sticky, or sludge-like materials. These material characteristics create build-up and discharge issues. What is the Capacity Rate? “What is the capacity rate?” is another crucial component to bucket elevator design. The capacity rate defines the quantity of material that the equipment will convey. A number of linked factors determine if the maximum capacity utilization of a bucket elevator can be achieved. However, selecting and designing the right configuration helps to attain the best possible capacity rate output. What is the Dimensional Information? Dimensional information is essential to any bucket elevator design. The primary dimension that must be defined is the desired height to lift the material. This information, combined with the intended material and capacity rate, contribute to how the overall bucket elevator equipment is sized. The needs and parameters of the facility are also important factors to the overall sizing of the equipment. After collecting the basic design information, a bucket elevator configuration is selected for use as the basis of the equipment design. FEECO utilizes information collected from the questions above to determine the best-suited bucket elevator for a customer. The design is then skillfully engineered and manufactured to manage each material’s unique challenges while complementing a customer’s existing processing facility. Additional customizations may also be incorporated in order to create the best solution for a customer’s specific application. Still not sure if a bucket elevator can effectively handle your material? Contact FEECO today! We will be happy to help you get started and answer any questions you may have about bucket elevator design.